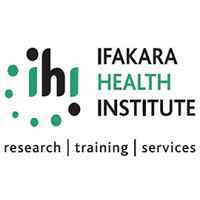 IHI is looking for an Office Assistant to fill a vacant position at the IHI Mtwara Site Office. She/he will be responsible for handling all day to day activities of the office. • Clean the office, washrooms and the compound surrounding the office. • Distribute official letters/documents as per supervisor’s instructions. • Photocopy official documents as needed. • Prepare office tea/coffee and wash the dishes. • Undertake any other tasks that the supervisor shall reasonably require from time to time. • Form IV/VI, preferably with a certificate in secretarial duties. • At least two years of work experience. • Ability to use computer for data entry. • Ability to work under minimum supervision but also within a team. • Good/excellent writing and verbal communication skills. • Adhere to IHI core values (Transparency, Accountability, Respect, Integrity and Initiative). IHI is an equal opportunity employer. We prohibit intentional biases or discrimination and harassment of any kind at the work place and during recruitment. All recruitment decisions are based solely on job requirements and individual qualifications, and our recruitment process is governed by the labour laws of Tanzania. All candidates who meet the above job requirements should send their application letters together with their detailed curriculum vitae (CVs) showing contact addresses including email, telephone/cell phone numbers and copies of academic and professional certificates to the address below. The deadline for this application is 1700hrs, March 28 2019. Please, indicate on the application envelope or email subject line the position you are applying for: OFFICE ASSISTANT. Please, note: Only shortlisted applicants will be contacted for interview.